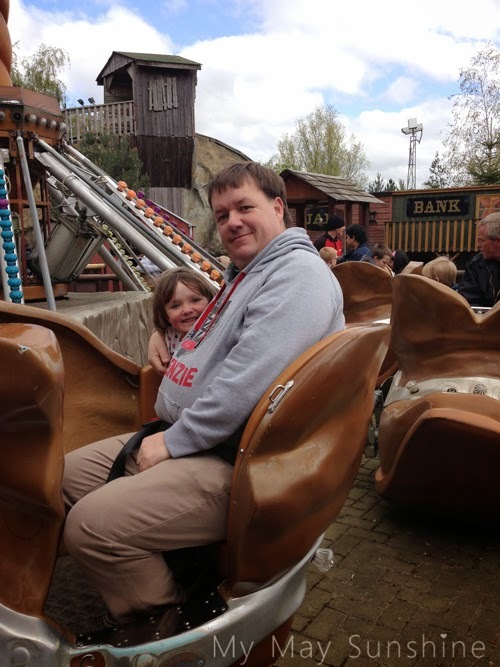 Recently we decided to take a trip to Gulliver’s land at Milton Keynes. It’s like a theme park for kids and although we only live half an hour away, we had never been before. 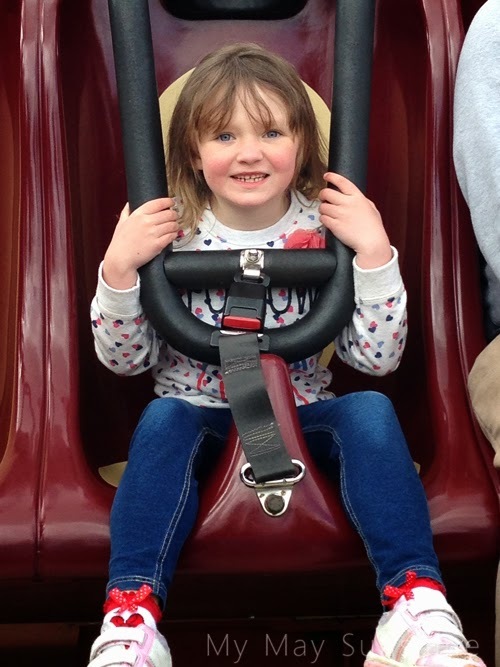 Hollie has only been to one other theme park and that was Drayton Manor and that was a couple of years ago, so was still quite young to enjoy the rides. One of the first rides she went on was one of the rollercoasters and she hadn’t been on one that big before and said it was the best ride ever! She did go another one too and loved it. 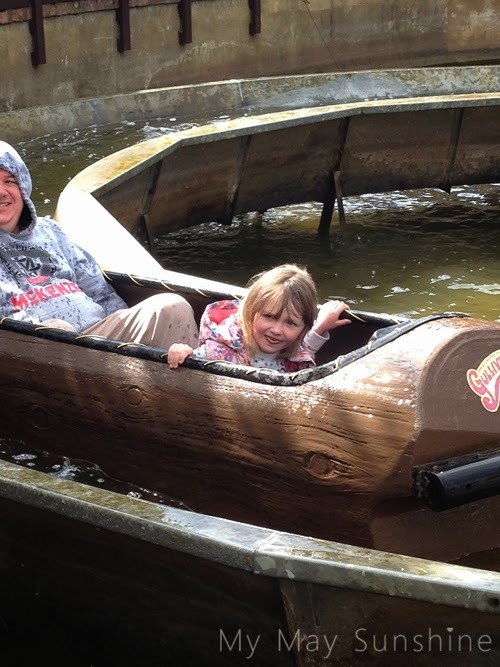 She wasn’t too keen on the log flume but did go on it in the end. 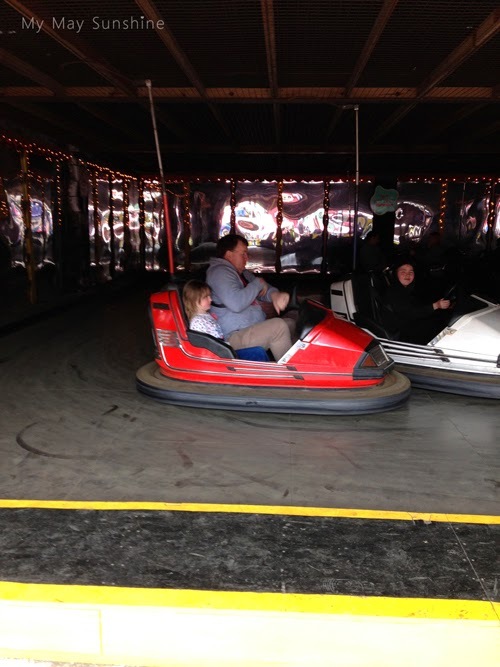 Her favourite ride at the fair is the dodgems, so made sure she went on them. One of the rides that she hadn’t been on before and she had no idea what it did was the ride (not sure what it’s called) that goes up slowly and goes down fast. 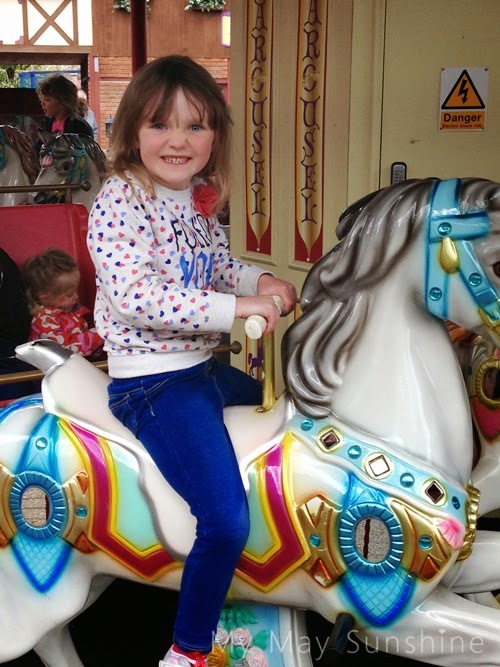 The photo below shows Hollie smiling before the ride started. 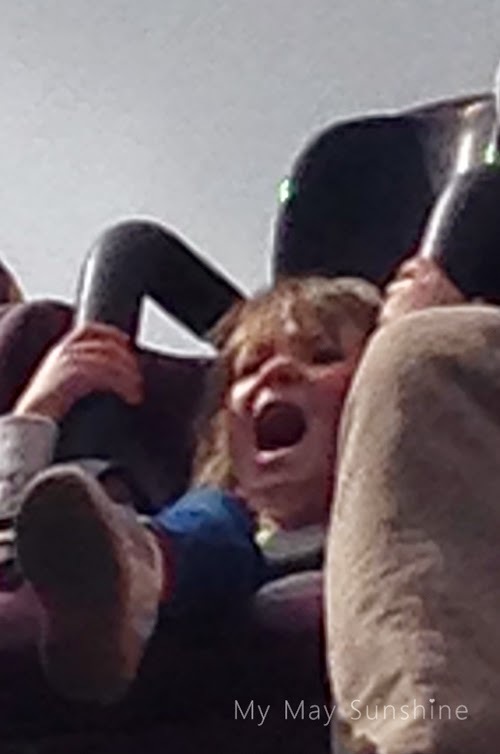 Then this photo shows her during the ride! 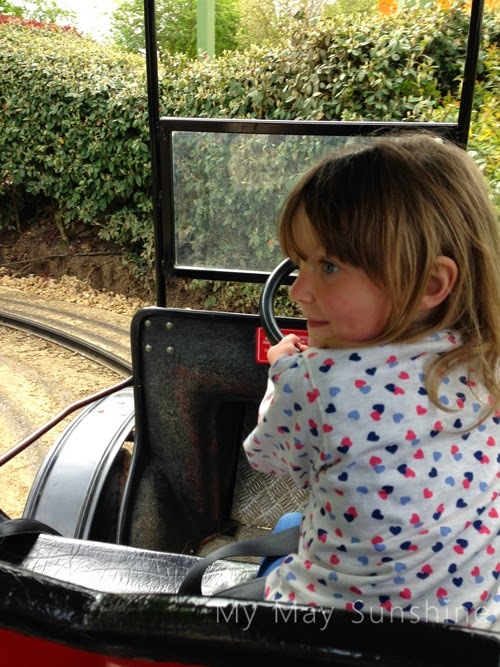 She was terrified, even her dad said it was worse than he expected! 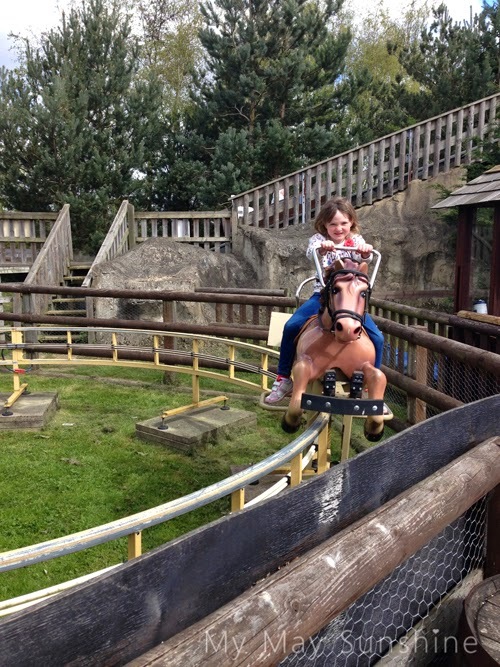 However, she did want to go on it again though but couldn’t as it some safety issues! 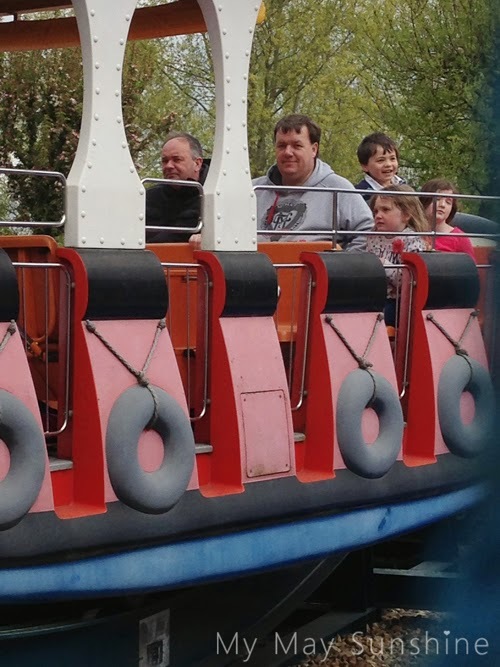 There were plenty of rides that adults can go on and even I went on quite a few which I didn’t think I would. Here a some more pictures of some of the rides. 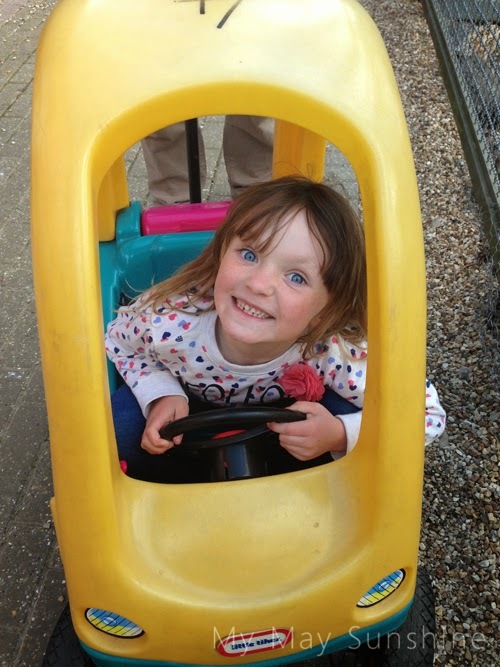 While walking around the park, we came across an abandoned car for toddlers that you can push them around in and Hollie decided she wanted to be pushed around in it. She enjoyed it. We didn’t manage to go on the train as the queue was over an hour long and it wouldn’t have been easy entertaining a 6 year let alone a 3 month old. We had a great day out and would go back in the future. 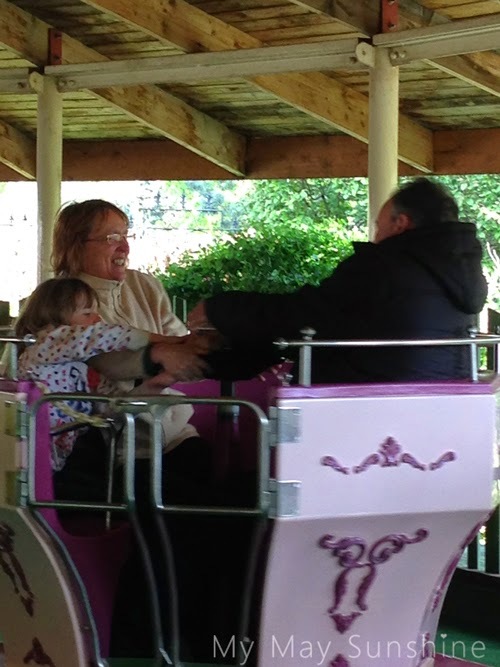 We did take my mum and step dad and they really enjoyed it too!